Move over, Monsanto. There’s a new bug killer in town, and it comes in the form of a massive jam sandwich. That’s the premise of The Giant Jam Sandwich (public library), a hilarious children’s book that chronicles an epic battle between man and insect with a larger-than-life solution. 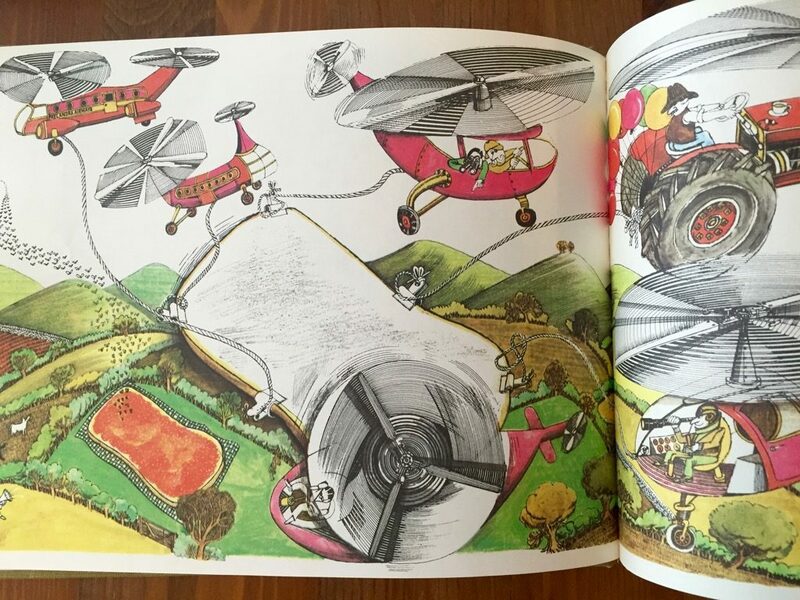 This one-of-a-kind story by author and illustrator John Vernon Lord captures the imagination of children and adults alike, and the quirky illustrations are quite unlike anything in modern children’s literature. The story — which will sound familiar to anyone who has been bothered by wasps during a picnic — starts one hot summer day in the town of Itching Down when “four million wasps flew into town.” The town’s citizens, unnerved by the rapid infestation, start looking for a way to get rid of the wasps. They called a meeting in the village hall, and Mayor Muddlenut asked them all, “What can we do?” And they said, “Good question!” But nobody had a good suggestion. 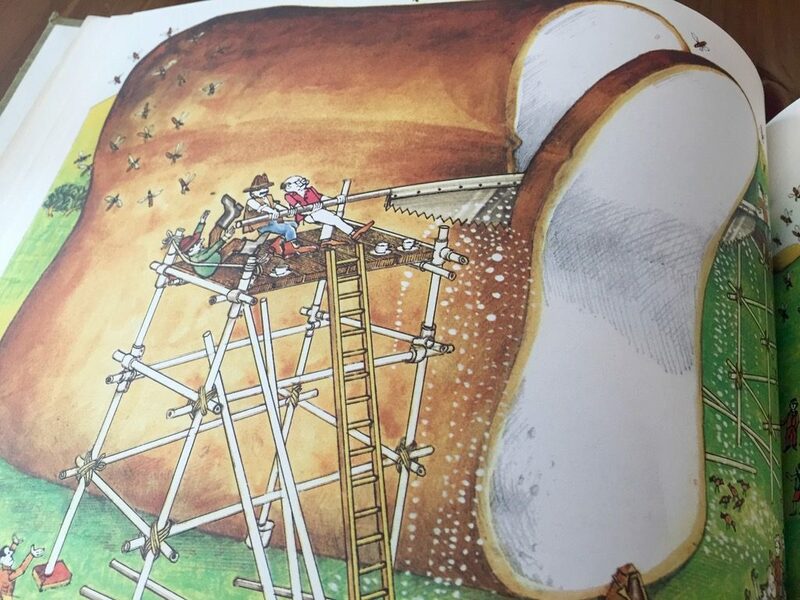 The villagers mix the ingredients for the bread and then bake the giant loaf in an abandoned warehouse. They use buses and horses to transport the enormous steaming loaf of bread to Farmer Seed’s field where they spread butter and jam on one slice. Helicopters lift the other slice into the sky and wait for the wasps to land on the jam. When the wasps finally fly in, the helicopters drop the slice and trap the wasps in the sandwich. 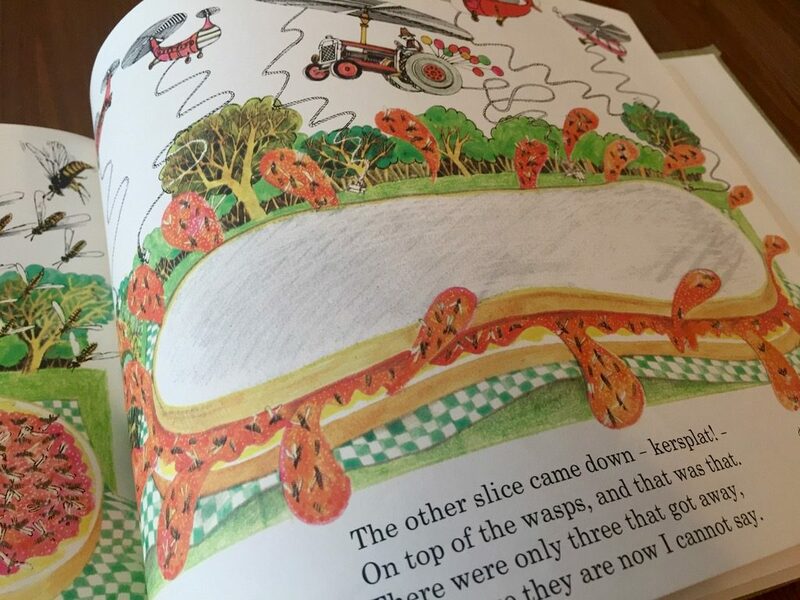 The story ends with nearly all of the wasps squished in the giant jam sandwich. Meanwhile, high above the field, six flying machines whirred and wheeled, ready for the wasps to take the bait. And then there was nothing to do but wait. Suddenly the sky was humming! All four million wasps were coming! They smelled that jam, they dived and struck! And they ate so much that they all got stuck. The other slice came down — kersplat! — on top of the wasps, and that was that. There were only three that got away, and where they are now I cannot say. Where did the outlandish idea for this extraordinary story come from? The author explained in an interview that he came up with it while on a picnic with his family and friends. That book started off on holiday in Devon when we had three young girls, and we went with another family with young boys. We were having a picnic and both of the boys got hysterical because a wasp was hopping about. I quickly tried to calm them down, and off the top of my head invented the giant jam sandwich story, which quelled their anxiety. When I went home I thought that might be a book worth doing. The jam sandwich bit was a notion that when I was young, my dad, if we ever had a picnic, always used to put some strawberry jam away from the picnic to attract wasps from where we were settled. 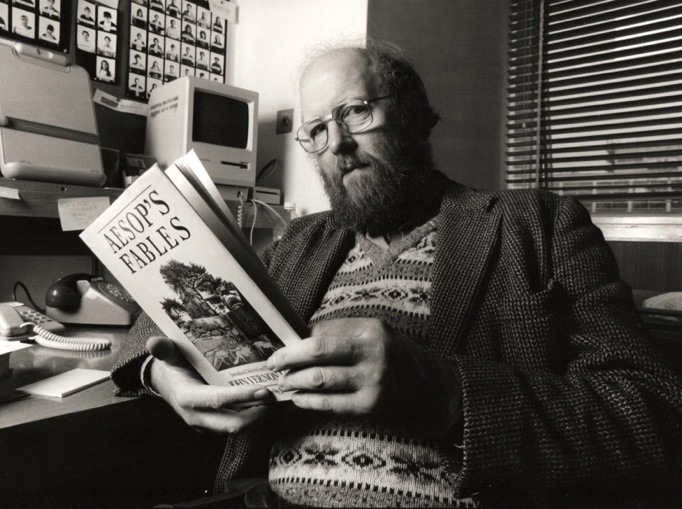 A lot of ideas are anecdotes from your own life; you can exploit them and bring them into fantasy. Many readers will be intrigued by the unique artwork in this book. 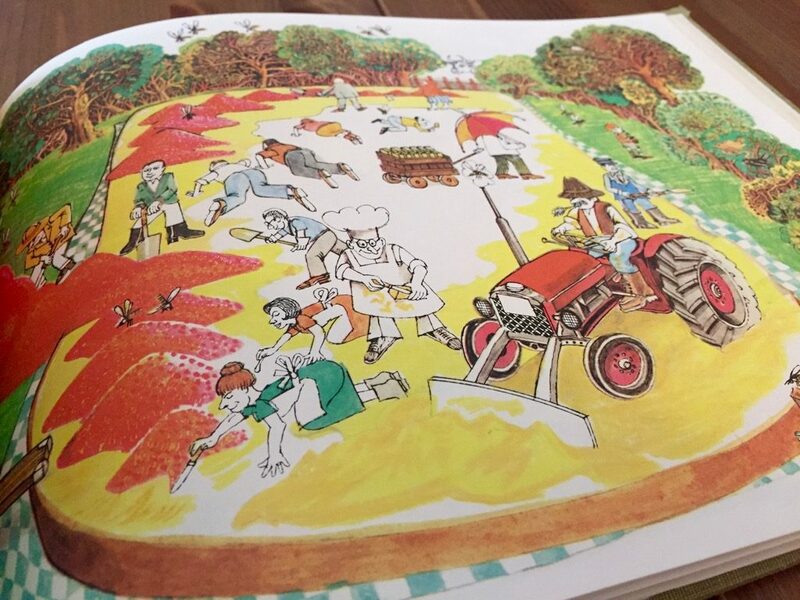 The author, a university professor who taught the art of illustration for 45 years, has an interesting take on illustration as an art form. Illustration does not yearn for the high cultural plane. It is a modest activity and it is not esoteric, nor is it a mere dumbing-down of art; it has its own distinct purpose. Fine art is allowed to be obscure and bewildering, but illustration is not; its purpose is to enlighten. It is art, but it’s an accessible art. In a nutshell, illustration is the art of the people. 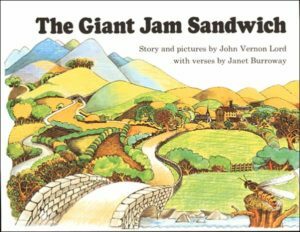 The Giant Jam Sandwich was originally published in 1972. The fact that it’s still in print after all these years is a testament to its gentle poetic charm and its ability to capture the imaginations of children everywhere. This outlandishly creative story will keep readers coming back again and again. Complement it with Mr. Meebles, a delightful children’s book about an imaginary friend who doesn’t want to be forgotten.